announcements: (i) the summer seminar, and (ii) report on progress of Vol.4. 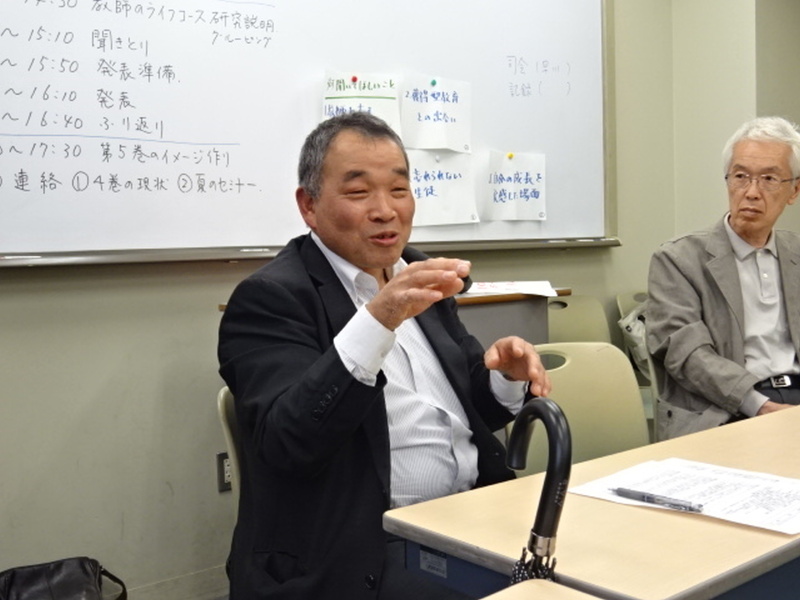 A study of teachers’ life courses was continued from last meeting. This time, activities to learn from Mr Shimoyama’s progress as a teacher. Like last time, they took the steps of <>. Participants were impressed with his unique career with many vicissitudes. This entry was posted in Regular Meetings on 16/06/2018 by staff.